Features such as SID, grid, generator settings, image enhancement filters, and table and tube positions are all tied to one another. This helps to save time on adjusting settings and assists in dose reduction. The Platinum, state-of-the-art system features a remote controlled table allowing for an enormous range of applications. The table lowers to just under 19 inches making transfer, positioning, and imaging for limited-mobility patients easy, comfortable, and safe. 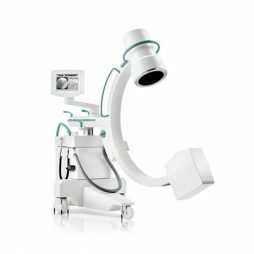 Viztek Ultra U-Arm DR features state-of-the-art functionality for supreme digital imaging. The Viztek Ultra U-Arm DR is designed for all imaging applications. Avoid the time-consuming demands of film processing and enter the digital world of Direct Radiography. 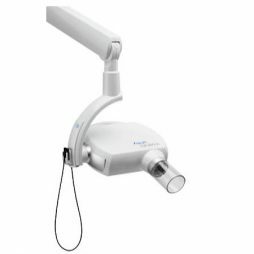 The Viztek Ultra U-Arm DR provides digital images within seconds of exposure. display within 3 seconds of exposure, the DR enables high-throughput performance, enhancing practice workflow. The enclosure keeps the panel safe, enhancing image quality, increasing its longevity, and assuring system stability. Viztek’s ViZion DR + wireless panel provides exceptional image quality paired with advanced software features and functionality. 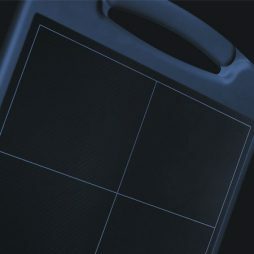 The 14×17 panel uses enhanced Gadolinium technology and has unique features like drop notification emails. Viztek has added the ViZion + line of DR products available in multiple configurations and bundles! Viztek’s new ViZion DR + panels come in several different configurations ideal for various applications. The DR panels offer high quality images within seconds of exposure and come standard with Viztek’s tested Opal-Acquire software. Exclusive advantage: The SOPIX sensor will activate and stop the generator eliminating any risk of over-exposure for both the image and your staff in your working area. The X-Mind Unity communicates with the ACE technology present in the SOPIX Sensor Inside. The generator analyzes in real time the amount of X-ray emission needed to enable perfect exposure of the image and therefore reduces staff exposure. 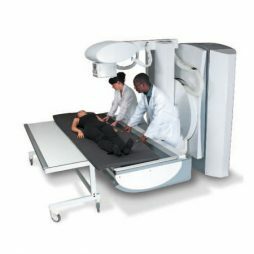 The result is an optimized image with staff safety at the forefront as exposure to radiation. With the smallest focal spot in the field and a constant voltage of 60 kV or 70kV, X-Mind Unity provides reproducible results and extremely high-defined images. Your diagnosis is more reliable than ever. The precision given by the combination of X-Mind Unity and the SOPIX Inside provides you with the most consistently clear image quality available. This paring will allow for less time an animal is under anesthesia by fewer retakes, a shorter learning curve by eliminating exposure variables do to morphology, less frustration, and less radiation exposure to the working environment. 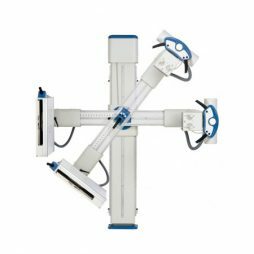 By eliminating the need for a monitor cart in the surgical suite, the Ziehm Quantum™ is truly the world’s first full featured, self contained mobile surgical C-arm. 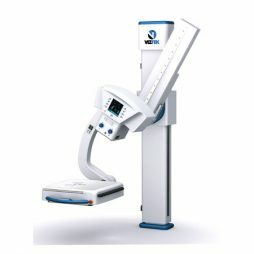 Its compact foot print and lightweight design coupled with the advanced features of a state-of-the-art 16-bit image processing system, makes the Ziehm Quantum™ the most compact and versatile mobile C-arm available today. 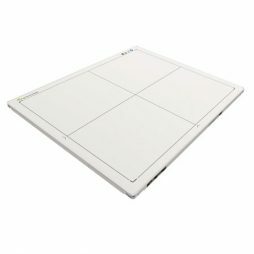 Ziehm Vision delivers high-quality imaging with low dose exposure on a footprint of just 0.8 m². 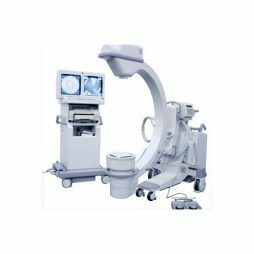 It features a compact C-arm and monitor cart with an intuitive touchscreen user interface as well as two monochrome 18” flatscreen monitors. It has a high-resolution CCD camera that detects over 4,000 shades of gray. The monoblock generator’s unique liquid cooling system (Advanced Active Cooling) is specially designed for extended use in operating theaters, making the Ziehm Vision ideal for a wide range of clinical applications such as general surgery, orthopedics, and traumatology. 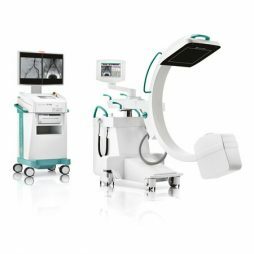 With Ziehm Vision, Ziehm Imaging creates a new standard in mobile C-arm functionality including highly demanding minimally invasive and interventional procedures performed in areas such as cardiology, urology, neurology and orthopedics. 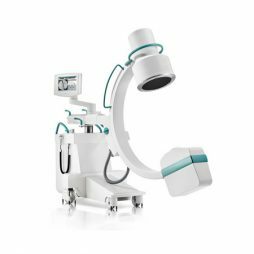 Ziehm Vision R is the perfect choice for demanding procedures in neurosurgery, vascular surgery and cardiac applications. The powerful monoblock generator with rotating anode delivers up to 20 kW power, enabling Ziehm Vision R to produce high-quality images with minimal dose exposure. This high-frequency pulse generator operates with a variable pulse width between 4 ms and 50 ms. It also comes with a unique liquid cooling system (Advanced Active Cooling) and is specially designed for extended use in operating theaters. Ziehm Vision R features two 18″ flatscreen monitors, which clearly visualize the smallest anatomical details even from a distance or at an angle. Ziehm Vision RFD offers a viewing experience previously only available with larger stationary imaging systems. Its 30 cm x 30 cm flat-panel detector provides a field of view that is up to 2.5 times larger than that of conventional 9″ image intensifiers. Ziehm Vision RFD also delivers a higher resolution than other C-arms thanks to its 1.5 k x 1.5 k image matrix. The powerful monoblock generator with a rotating anode and the unique liquid cooling system (Advanced Active Cooling) is specially designed for extended use in operating theaters, making Ziehm Vision RFD ideal for demanding interventions such as AAA procedures. 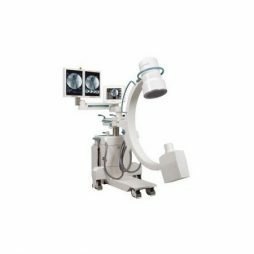 It is also a perfect fit for vascular procedures, interventional radiology and hybrid room applications.